Mongolian Lunar 🌙 New Year, Tsagaan sar is one of the two main celebrations of Mongolia 🇲🇳 (other one Naadam Festival). It is nomads celebration for successfully surpassing the harsh cold winter months ❄️ and finally greeting the warm spring 🌱 . 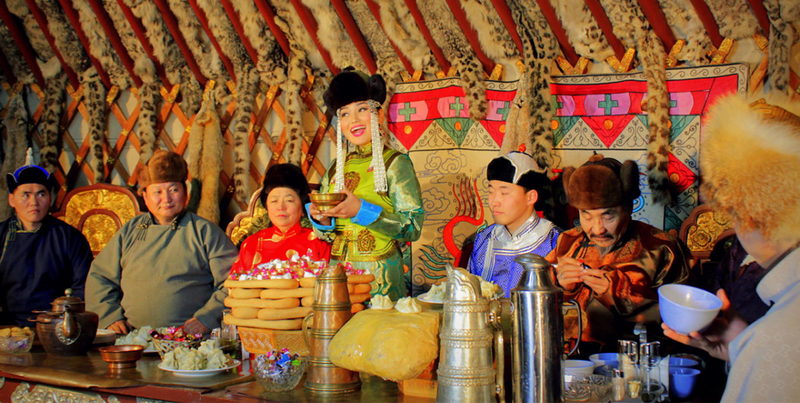 Families living in remote areas visit their elderly relatives and celebrate the beginning of spring. All kinds of delicious food 🍲🥘🥙 are prepared and the feast can continue for few days. It is a national celebration that brings together families and relatives together.